With the Global Citizenship Conference 2018 (USAgcc2018), we’ve taken our approach to “collaborate across boundaries” to greater heights through an exciting partnership with Net Impact at the 2018 Net Impact Conference (NI18) in Phoenix! How? By tying our conference (22-29 October) to the Net Impact Conference (25-27 October) in Phoenix, Arizona (USA). 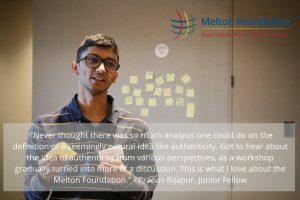 After experiencing a holistic approach to authentic communication, Melton Fellows dove right into conceptualizing and presenting their stories on 24th October. 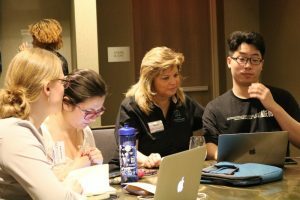 An eventful storytelling workshop facilitated by Sherry Sacino, best-selling author and Founder & CEO of Global Storymakers saw Melton Fellows ideate and put together a story that mapped their journey as Junior Fellows in theMelton Foundation. In less than four hours, fellows used a storytelling template to document their personal stories of social impact from the last few years. Key areas the story focused on were lessons learned, areas of passion, a declarative statement, and a goal or motto. Our graduating batch of Fellows were taken through a guided reflection to look back over significant impact moments from their fellowship journey and welcomed into a large network of Senior Fellows. 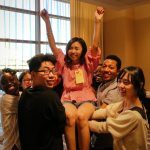 Junior Fellows were guided to form mentor-mentee relationships with New Fellows and challenge them to think globally with the chance to form unique friendships. Melton Fellows from every participating country came together to present unique cultural performances, depicting their cultures and daily life with performances themed ‘Outside The Lines’. For example, Melton Fellows from Ghana depicted an empowered and progressive modern day Ghana. 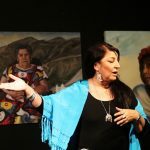 Melton Fellows from Chile presented an act that highlighted the women Empowerment movement in present-day Chile, to name a few. 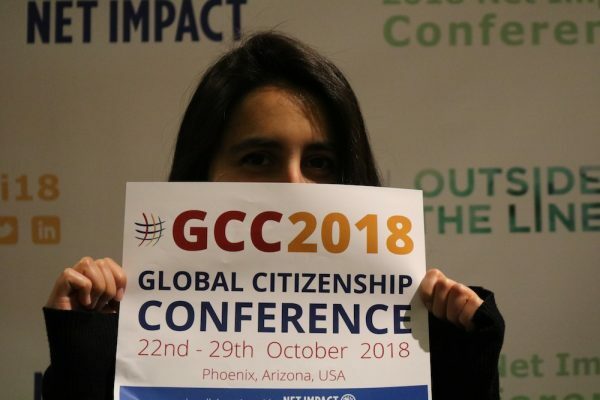 October 25-27, 2018 was the most anticipated period for all GCC participants. The Net Impact Conference, held at the Phoenix Convention Centre was a grand opportunity for GCC participants to network with professionals in the Social Impact field, with access to some of the best panel discussions, keynote speakers and networking forums. 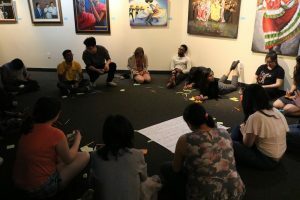 Over the three days, Melton Fellows were presented unique opportunities to connect with innovative impact leaders, exploring cutting-edge trends and find out what’s next in solving global issues, and learning what our peers are doing! The Melton Foundation showcased its work at the professional networking Expo of the Net Impact Conference. 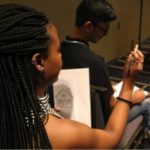 At the Expo, we shared success stories of our fellowship, the various fellow-led global project teams, and their impact, the truly special intercultural network and friendships in our fellowship program, and discovered opportunities to collaborate with many other similar organizations present there. The last day of every Global Citizenship Conference is a hard one. This time being no different, Melton Fellows began the last morning with an intense and highly rewarding reflection about the week, where they shared important learnings they were taking from the USAgcc2018 and what next steps they planned to take as Global Citizens. We ought be balance who we are, who we want to be, and how others see us in order to make a real difference in the world. Injustice is all around is, but unless we take action – even the smallest steps – we will never see the possibility beyond come to life. 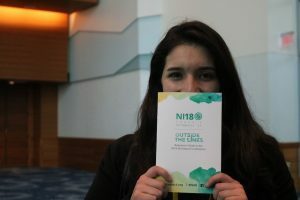 What followed was a Melton favorite, the 100 Acts of Global Citizenship – A workshop aimed at helping participants design and take action to tackle pressing global issues in simple yet meaningful ways in their workplace, family or anywhere else – and to bring global citizenship to life locally. Facilitated by Senior Fellows Victor Valenzuela and Karla Gonzalez, attendees spent 3-4 hours coming up their special Act of Global Citizenship that they pledged to implement in their local communities soon after their return from the USAgcc2018. 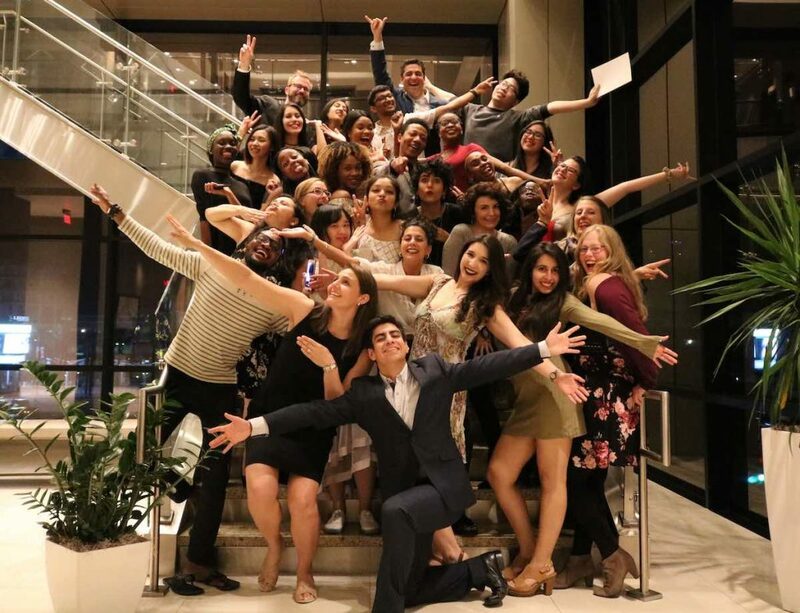 The week came to an end with an emotional and empowering Junior Fellow Graduation and farewell dinner, celebrating the reasons that brought everyone together: to enable and promote Global Citizenship, and remembering our learnings from the week that was! For more picture moments, check out our #USAgcc2018 Flickr album HERE … and watch this short video for selected highlights.